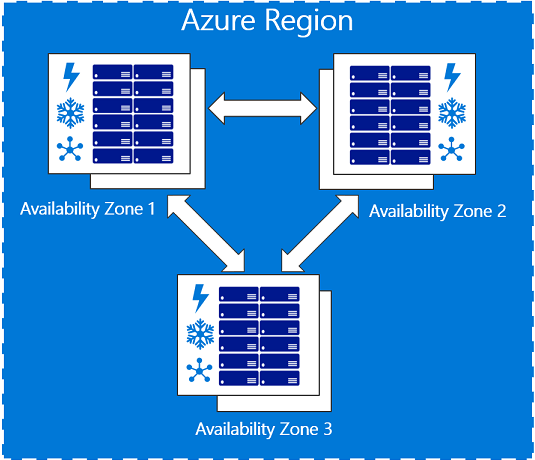 Azure Availability Zones can be used to build highly available applications. The service increases Azure’s resiliency capabilities and broaden options for clients to choose the business continuity solution that is right for their organisation. Availability Zones also give organisations great confidence in delivering services and with an industry-leading, financially-backed 99.99% virtual machines uptime SLA when generally available. applications with higher availability and fault tolerance to datacenter failures. With 42 announced regions worldwide (more than any other cloud provider) and backed by one of the largest networks on the planet, Azure offers the scale needed to bring applications closer to users and customers around the world. Availability Zones are currently in preview in two regions, East US 2 in Virginia and West Europe in the Netherlands, with plans to offer preview to additional regions in the US, Europe, and Asia before the end of the year including the new France Central region in Paris. Availability Zones help to protect you from datacenter-level failures. They are located inside an Azure region, and each one has its own independent power source, network, and cooling. To ensure resiliency, there’s a minimum of three separate zones in all enabled regions. The physical and logical separation of Availability Zones within a region protects applications and data from zone-level failures.